This page is concerned with clinical pharmacology of the tumescent technique for local anesthesia using large volumes of very dilute lidocaine (local anesthetic) and epinephrine (vasoconstrictor that shrinks capillaries). The word tumescent means swollen and firm. With the tumescent technique such a large volume of dilute lidocaine is injected into the targeted fatty tissues that those areas become tumescent (swollen and firm). 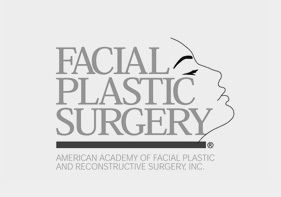 The tumescent technique produces profound local anesthesia of the skin and subcutaneous fat that lasts for many hours. Safety of the tumescent technique is remarkable. No deaths have ever been reported in association with the tumescent technique for liposuction totally by local anesthesia. Most serious liposuction complications seem to be associated with excessive liposuction or multiple simultaneous unrelated surgeries, and the use of general anesthesia or narcotic analgesics. 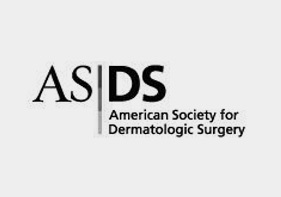 The amazing safety record of liposuction totally by local anesthesia was surprising because the technique uses dosages of lidocaine (local anesthetic) that were considered potentially toxic. The mystery of this unexpected safety was solved by studying the pharmacokinetics of tumescent lidocaine. This is the science that studies the concentration, pathway and fate of drugs as they travel through the body. For example, the pharmacokinetics of tumescent lidocaine is concerned with measuring the concentration of lidocaine in the blood, and how this concentration changes over time. The toxicity of a local anesthetic is a function of its peak plasma concentration which in turn depends on several factors including the total milligram per kilogram dose, and the rates of systemic absorption and elimination. A safe dose of tumescent lidocaine is estimated to be 45 mg/kg for thin patients, and 50 mg/kg for average to overweight patients. (Tumescent Technique, by J. Klein, Mosby Publishers, 2000). Lidocaine can be toxic if its concentration in the blood exceeds a threshold of 6 milligrams/liter. The most extraordinary aspect of the tumescent technique is its unprecedented safety record when used as directed. Most liposuction surgeons know that it can be dangerous to give a patient a dosage of tumescent lidocaine that exceeds 50 mg/kg. All liposuction-related deaths have been associated with either the use of general anesthesia, or IV sedation, or grossly excessive lidocaine doses in excess of 75 mg/kg. The tumescent technique is dangerous in the hands of surgeons or anesthesiologists who have not had specific training in the technique. There has never been a reported death associated with tumescent liposuction totally by local anesthesia. The total amount of lidocaine, measured in terms of milligrams of lidocaine per kilogram of body weight (mg/kg), that is given to a patient directly determines the risk of lidocaine toxicity. Following an injection of lidocaine, the concentration of lidocaine in the blood gradually increases, eventually reaching a peak, and then declines. The risk of toxicity depends on the peak concentration of lidocaine. Lower peak plasma lidocaine concentrations reduce the risk of lidocaine toxicity. The fundamental reason for the great safety of tumescent local anesthesia is its exceptionally slow rate of lidocaine absorption. For any given milligram per kilogram (mg/kg) dose of lidocaine, anything that slows the rate of lidocaine absorption, will reduce the peak lidocaine plasma level, and thus reduce the risk of lidocaine toxicity. There are three factors that cause tumescent lidocaine to be absorbed from fat at an exceptionally slow rate: 1) subcutaneous fat has a relatively low volume of blood flow, 2) dilute epinephrine produces a prolonged and profound degree of vasoconstriction, and 3) lidocaine is lipophilic and is readily sequestered in fat cells. When lidocaine is injected into muscle, through a vein directly into the blood, or in the gums (for dental anesthesia) the rate of absorption into the blood is much more rapid than when lidocaine is injected into fat. Different rates of lidocaine absorption require different lidocaine dosage limits. When the tumescent technique is performed properly, the effects of tumescent lidocaine are local and not systemic. 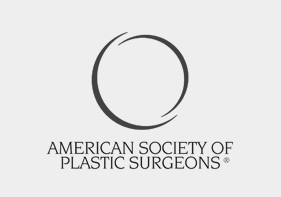 However, there are surgeons who do very large volume liposuction surgeries; these surgeons may use large amounts of tumescent anesthesia and expose their patients to potentially excessive amounts of injected fluids or excessive amounts of lidocaine. There is a distinction between the words dosage and dose. The word dosage describes the amount of drug given to a patient expressed in units of mg/kg where mg = the weight of the drug expressed in milligrams, and kg = the patients weight expressed in kilograms. The word dose describes the amount of drug expressed in mg units where mg = total milligrams of drug given to a patient. The word dose does not take into account the patients total body weight. By using the mg/kg dosage to determine the amount of drug given to a patient, a physician can more accurately predict equivalent effects among patients whose weights are considerably different. Commercially available solutions of lidocaine are made acidic in order to increase the solubility of lidocaine. If the lidocaine solution also contains epinephrine, then an acidic solution is necessary to increase the shelf-life of epinephrine. Unfortunately, acidic solutions produce a slightly painful stinging sensation upon injection into the skin or into subcutaneous fat. The stinging discomfort of an injection of lidocaine can be reduced by the addition of sodium bicarbonate into the solution to neutralize the pH of commercially available solutions. Local anesthetics tend to block small nerve fibers sooner than larger fibers. Clinically this is manifested by the observation that small fibers that mediate pain and temperature, are blocked more easily than the larger sensory nerve fibers that mediate pressure, and vibrations, or motor nerves that mediate muscle function. Tumescent local anesthesia in adipose tissue produces a rapid blockade of pain and temperature sensation, while local anesthesia has less effect on pressure and vibratory sensation. Thus, with adequate infiltration of tumescent local anesthesia, patients should not feel pain during tumescent liposuction, however they will often be aware of vibrations, and a peculiar rasping sensation. 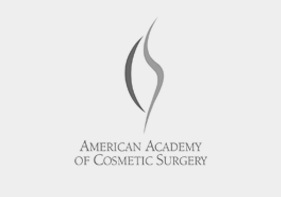 Tumescent liposuction is associated with a remarkably low risk of postoperative infections. This enviable clinical record provides strong evidence that in-vivo tumescent local anesthesia is bacteriostatic (prevents the growth of bacteria) and bacteriocidal (kills bacteria). There are few, if any, extensive surgical procedures with a lower incidence of infection than that of tumescent liposuction. Two recent reports have found that dilute lidocaine in a concentration of 500 mg per liter of solution (0.05%) does have in-vitro antibacterial activity. Another study found this lidocaine dilution to be bacteriostatic for Staphylococcus aureus. 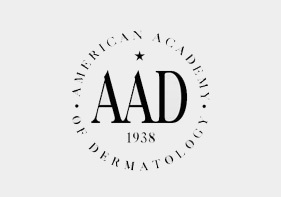 Another in-vitro study, using suspensions of bacteria containing approximately 105 bacteria per ml found that all gram-positive organisms tested, including S. aureus, had significantly lower colony counts in 0.05% or higher concentrations of lidocaine diluted by the IV anesthetic propofol. There is in-vitro evidence that lidocaine is not just bacteriostatic but actually bacteriocidal for organisms isolated from skin lesions. Recently it has been shown that when sodium bicarbonate is added to lidocaine, this in-vitro bacteriocidal activity is increased. Common sense is still necessary. The enviable record of tumescent liposuction is attributable to 1) moderation in terms of the amount surgical trauma inflicted during a single surgical procedure, and 2) a wise selection of healthy patients. If surgeons disregard common sense and moderation in liposuction, and attempt to do too much liposuction on a single day, then the record of postoperative complications is no longer enviable.